When we’re met with trans-Atlantic flights, cross-country coach journeys and day-long boat rides, it's ideal to get comfortable and snooze through the trip until we arrive at our destination. But the thought of cozying up in those cramped economy seats leaves our minds almost as soon as we step on board, because we know it's a near impossible task. The market for travel pillows has expanded in innovation, presenting restless travelers with options incorporating quality memory foam and microbeads, making sleeping on the go more comfortable. Our top picks for these travel companions factor in ease of use and transport besides comfort, covering side sleepers and head bobbers. This award-winning memory foam travel pillow is a worthy investment piece for on-the-road quality sleep. 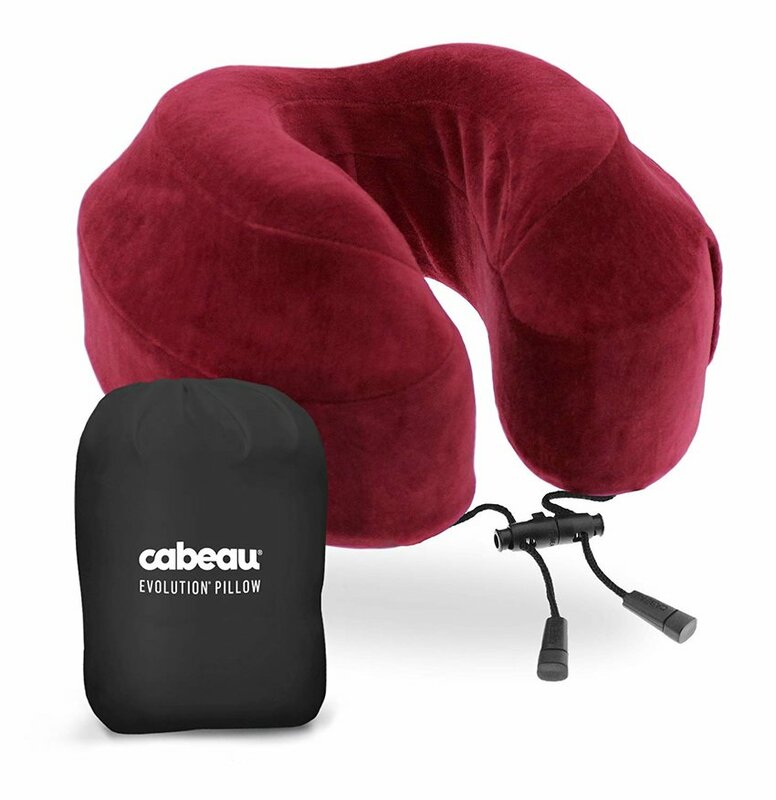 The Cabeau thoughtfully features a side pocket for your phone if you like to listen to music while you sleep, and it's also equipped with earplugs if you’ve been unfortunately seated next to a screaming toddler on your journey. Draw the strings of your Cabeau taut and pull the ends of the pillow together for round-the-neck protection to cushion your head if it falls forward. Ergonomically modeled with raised side supports and a flattened back end, the Cabeau keeps your head upright as you drift off to dreamland. Compress the pillow to a quarter of its size and pack it in your carry on for some guaranteed Z's. Designed with side sleepers in mind, the Travelrest supports the entire side of your body for an experience that's most bed-like. This pillow sits on top of one shoulder and fits like a messenger bag across the body. Its cord allows you to fasten the support around the headrest of a car or plane, tucking you firmly in one spot while you rest. Though the pillow is wrapped in a soft velvety material, there's an option to purchase an extra snuggly cover for when you hug the pillow to sleep on your next cross-country commute. The Travelrest deflates and can be conveniently rolled up to store in your bag or strapped to your luggage for when you're on the move. 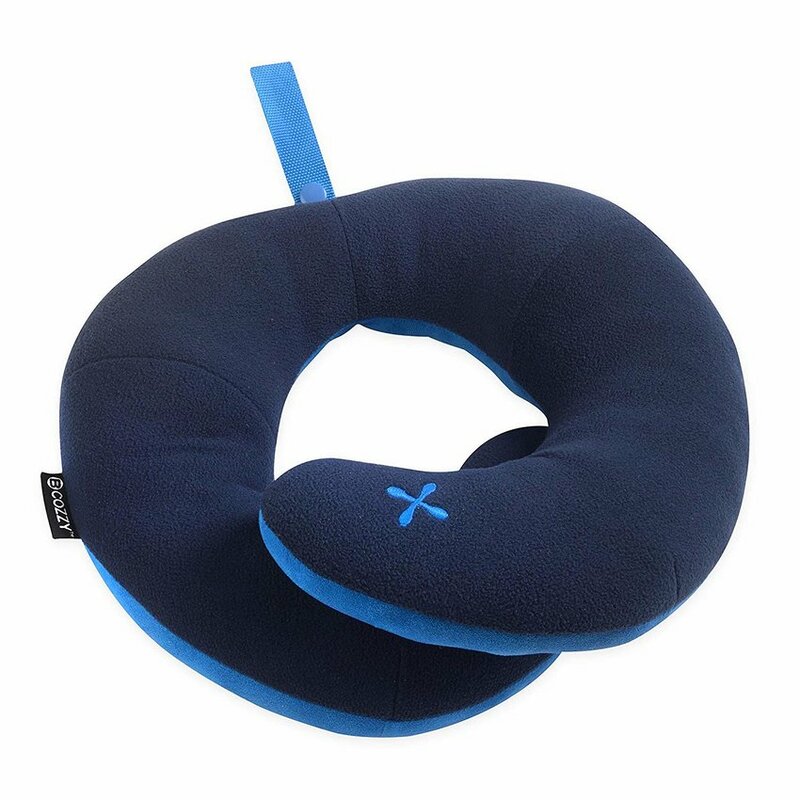 This plushy travel pillow takes the unconventional shape of a J, creating a triple support system for your head, neck and chin. The J Pillow comes equipped with a set of illustrations on the multitude of ways you can position it, but no matter which you choose, it cradles your head in a way that prevents it from falling forward. For those with an unfortunate case of the sleep drool, the fabric is machine washable, adding to its ease of use. The J Pillow also compresses to half its size when placed in the carry bag it comes with, and it can easily be strapped to the side of your purse or backpack with its snap button. The Bcozzy Pillow is a top choice for those needing some serious chin support. Its U-shape actually wraps around to form an O, and the two ends can be pulled around your neck, holding your head and chin firmly in place. The Bcozzy allows you to twist its ends into several positions and adjust the tightness when it's around your neck for maximum comfort and support. 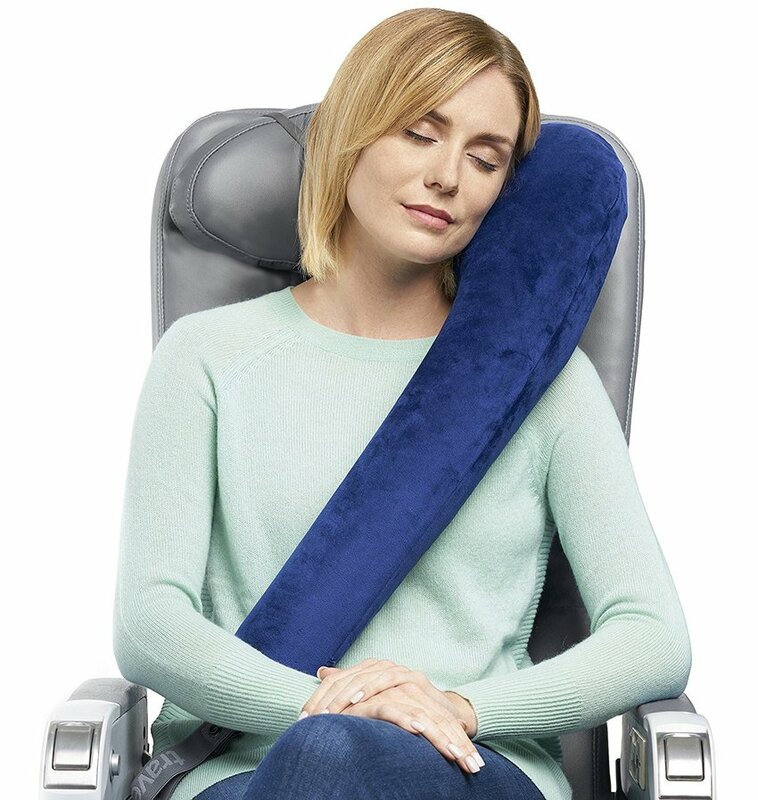 Though this neck pillow is admittedly not quite as compact as some of the others that dominate the market, it can easily be secured around your bag so it doesn't occupy the prime real estate in your carry on. Crafted by a couple of mechanical engineers based in Scotland, the Trtl Pillow is designed for sleepers who tend to lean their head to one particular side. 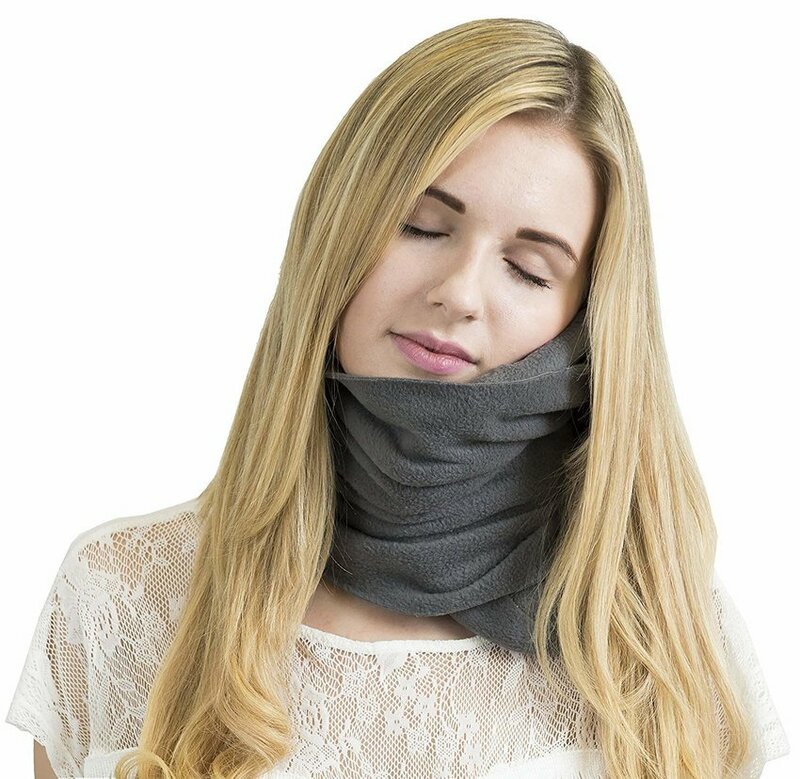 The pillow, which actually takes the form of a wrap scarf, conceals a series of strengthened ribs that conform to your shoulder shape, neck and jaw. Fit the pillow to one side of your head, wrap it around your neck like you would a scarf, and fasten it with the velcro strap. Dressed in fleece, the Trtl is extremely soft against your skin. At half the size of a conventional travel pillow, the Trtl is not only easy to slip in your carry on, but even simpler to use, and promises to hold your neck in an ergonomic position for a comfortable rest.